The most successful training is our private and hands-on course and is currently 50% off and cost $1599.00. You can read more details of what it includes by clicking here. Where can I get hands-on training? 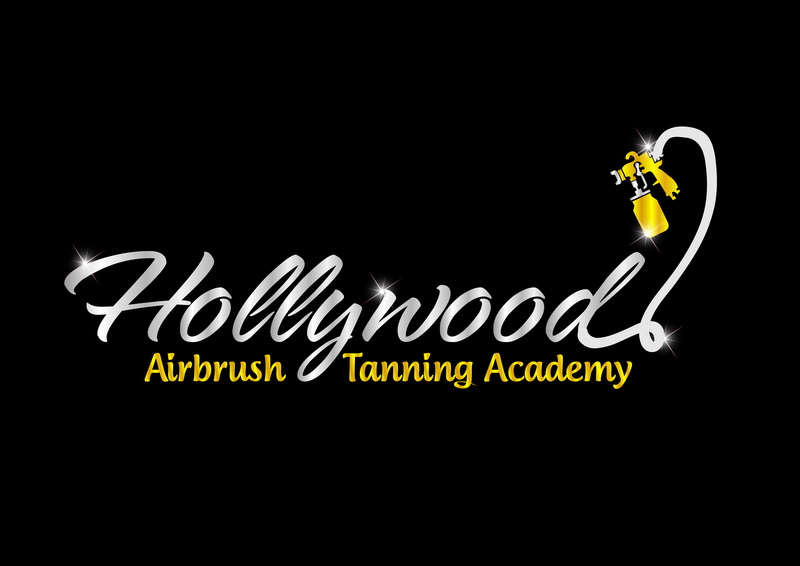 Yes, you will receive a certificate of completion and a pin to place on a shirt that will state that you are a certified airbrush tanning technician from the Hollywood Airbrush Tanning Academy. To see a sample of the certificate you can view pictures of previous students by clicking here. To see a sample of the pin you can click here. We also do an official press release on your new business and you can see examples of previous press releases by clicking here or read a recent press release here. In addition you will also receive your official badge so you can share this on your social media accounts, website or email signature. Read more here. No, you don’t need to have it. We have everything here for you to use during the training. You don’t need to bring any equipment and we also provide the safety supplies for the models, facial masks/nose filters and a variety of tanning solutions for different skin tones. At our location we have several different machines available that you can test out before you make the actual purchase. No, the equipment is not included in the training fee, however we have worked out student discount with some direct distributors so you can get the professional machine, pro spray gun, tent and starter solution ranging from $400.00 – $550.00 (free shipping). The actual price will depend on which machine you choose. In order to get this price you just have to sign up as a student and we will give you the order form. To give you an idea about the saving potential, in general, the machine sells for $499.00-$550.00 at many other places and the tent sells for $75.00 and then starter solution sells for $15.00 for each bottle. It usually takes 1 week for the company to ship the machine to you. You may cancel 2 weeks before your scheduled class. Your will receive a refund minus $150 for the materials that we email to you when you sign up. If you need to re-schedule the class, we require 2 weeks advanced notification and there is a $150 re-scheduling fee that applies. No, we don’t sell you anything. We tell you where to purchase the equipment, supplies and solution at the best rates on the market. This is one of the things that makes our training program different. We don’t sell any solution or equipment or supplies – we refer you to the distributors who have the best rates available on the market. Many other spray tanning training providers teach airbrush tanning because they want to make the most money on the machines, supplies and solution and try to sell you products you don’t need. We pride ourselfs on this because we have been able to help a lot of people get into this business at the smallest cost. Can I learn Airbrush Tanning Online? Will I have access to the online course after the training is completed? Yes, this is why the online site was created, so you could have a video on almost anything to watch as a refresher. From experience we know that many people can not retain everything they learn in 1 or 2 days and this is why we created the online site with lot’s of videos on almost everything airbrush tanning. We however reserve the right to cancel any access if we see that access is being shared with others. Do I need a Cosmetology License to do Airbrush Tanning? Most states do not require a Cosmetology License to do airbrush tanning. Currently, the only state is Oregon, however since laws change frequently, we encourage you to check your local state board of Cosmetology website or call them to verify the accuracy. What Products or Equipment do I need to start an Airbrush Tanning Business? We have a detailed list of what you need and you can easily get it by entering your name and email address at www.1DayAirbrushTanningTraining.com website. Make sure you confirm that we are allowed to send you an email. If you do not confirm, our system can not send you the list. Please also check your spam folder. What else makes your training program different? We teach an advanced spray tanning technique that is flawless, even for beginners, and that’s why most students get 5 star ratings from their clients. The academy teaches a technique through which clients are immediately dry and non-sticky. Clients can put on their clothes immediately after the spray tanning session and go back to work or do their normal daily routine without looking unnatural. This is almost unheard of, but our founder Simone developed this unique spray tanning technique. In addition, the academy has hours and hours of training videos available in a private membership website where students can log in any day and learn absolutely everything about airbrush tanning. The academy has a world record for having trained over 300 students from all over the world. Simone’s own airbrush tanning business in Los Angeles has received the “Best of Los Angeles Award for Airbrush Tanning in 2015” so you are learning from the best. Read press release by clicking here. How do I enroll into class? Call or text us at 818-674-9621 to inquire about the specific dates you want to do the training. The schedule changes daily so it’s hard to keep updated online. Once we decided on a specific date(s) for your training you can then complete the student registration form and make the payment to reserve the dates. You will also get access to the private membership website so you can start with the Basic Online Airbrush Tanning Course, which must be taken before coming to the hands-on airbrush tanning class. “CONFIDENCE” i was so nervous about my technique, solution choices, equipment, pleasing my clients, advertising, etc. simone had suggested that i tan (20) people complimentary before i start charging, therefore i could get the practice and be 100% comfortable. She trained me so thoroughly that i began charging, after spray tanning only 6 people. Today, I could tan with my eyes closed because her technique is so “perfect”! “CONTINUOUS EDUCATION” Since finishing the training with Simone, I have spoken with her MANY times. She embraces all my questions and concerns and always has time for me. Once you begin tanning people more frequently, a whole new set of questions will arise. I’ve called her with issues regarding skin types, client questions that i don’t have the answer too, different brands of solutions & other additional products, cleaning my equipment, skin reactions and so much more! “BUSINESS KNOWLEDGE” I wish i could share with you some of her infamous quotes but you will just have to hear them from her. Simone is not just an amazing spray tan technician and teacher, OH NO! She is a very wise entrepreneur, specializing in marketing and business. My business, Glow-N-Go-Mobile Tanning was up and running within the first month due to Simone’s successful ideas and suggestions. “FUTURE OPPORTUNITIES” Simone posted my information on her site as one of her students and a certified airbrush technician. It doesn’t get better than that, as she is extremely high ranked in all the top search engines. Google her and see for yourself. Simone is currently expanding her businesses in many ways and i have no doubt that she will be recruiting her top pupils all over the country to assist her in future opportunities! This tanning world has proven to be bigger than i ever expected! Good luck and enjoy the experience. You couldn’t ask for a better teacher!